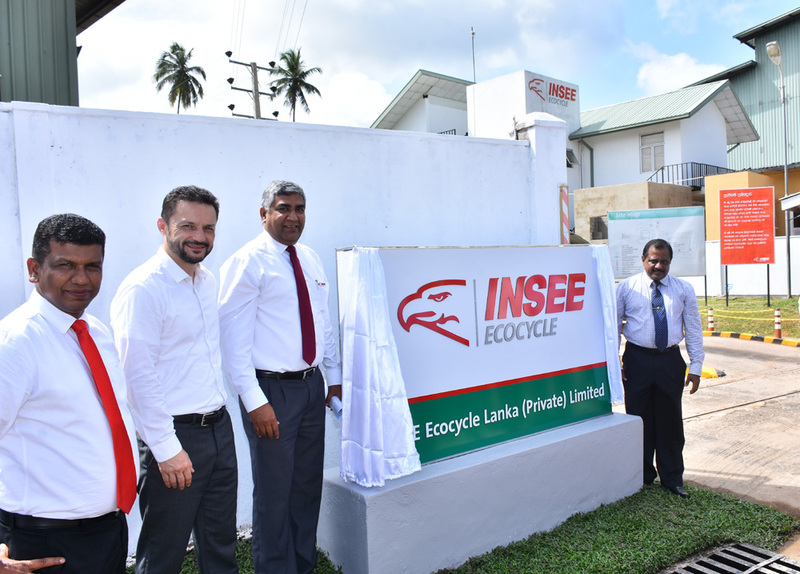 Colombo, 4th July 2018: INSEE Cement Sri Lanka celebrated the INSEE Ecocycle Lanka spin-off launch ceremony on the 2nd of July 2018 at the Ecocycle Pre-processing Facility (PPF) in Katunayake followed by a post-launch function at INSEE Puttalam Cement Plant in the evening. Nandana Ekanayake, CEO of INSEE Cement Sri Lanka, Eng. M.K.D. Lawrence, Executive Zone Director of BOI Katunayaka Export Processing and Sanjeewa Chulakumara, General Manager of INSEE Ecocycle Lanka inaugurated the event together with the Leadership team comprising Executive Committee Directors and Senior Management of INSEE Cement, Sri Lanka. Speaking at the event General Manager of INSEE Ecocycle Lanka, Sanjeewa Chulakumara said “Our parent company, Siam City Cement PCL also known as INSEE Group in Thailand, has the expertise in environmental services of the waste management. At INSEE Ecocycle Lanka we will constantly look at how we can provide a solution to all our customers. We are diversifying our business model to suit the customer needs and to be an environmentally and socially responsible company because we want the businesses and the communities at large to have “peace of mind”. He added “We are committed to strengthening all industries and the government of Sri Lanka in the sphere of waste management, because tomorrow matters…”.